WHEN: October 13, 2018 from 11 a.m. to 2:30 p.m.
Last week, Mayor Cutter and the City Council proclaimed the week of October 6th Resilience Week. The week will conclude with Resilient San Leandro, the first-ever Climate Resilience Forum on Saturday October 13th from 11 a.m. – 2:30 p.m. at the Senior Community Center. 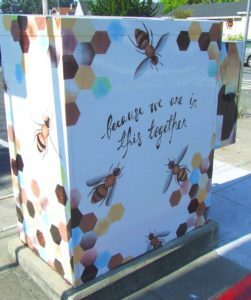 At this event, members of the public are invited to learn about actions the City is taking and how residents can help to make individual differences in the community. Climate change is a global issue that communities need to tackle collectively. By implementing solutions in daily routines, members of the community can help make a difference together. 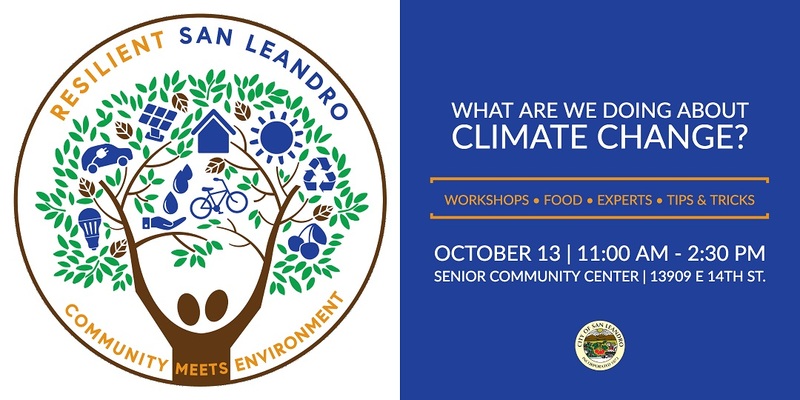 The City of San Leandro and Community Impact LAB invite the public to attend and learn more about climate resilience and solutions. Keynote speaker Peter Bryan of the Golden State Warriors will discuss how the Chase Center, the Warriors’ new home in San Francisco, will be built with a changing climate in mind. The event will feature local and regional experts on climate hazards as well as interactive workshops and community conversations on how to respond to climate change. Workshops will include sessions on emergency preparedness, drought-tolerant landscaping, restoring local creeks, food security, preparing homes for hotter summers, and more. This event is free and open to the public, but RSVP is requested at: www.rsl2018.eventbrite.com. Learn more about the event at www.sanleandro.org/resilientSL. Wow, sounds great but many working folks need more than 5 days’ notice for prime time on a Saturday.